• Unify all their divisions by having the brand relevant to each employee. • Represent the talented team while still honoring the past. • Update their visuals to stand apart from the others in the real estate space. • Create guidelines to always have consistent, quality visuals with the multiple agents creating their own signs. We always start from the inside, and work our way out to the visuals. People laughed and cried at this Employee Workshop. It was an incredible testament of the team and how much they care about their brand. We found they wanted the brand to represent the innovative team and let their personalities really shine through, while still respecting and honoring the past of what P.J. had built. In the right situation, a name and logo update can give an opportunity to tell a new story. 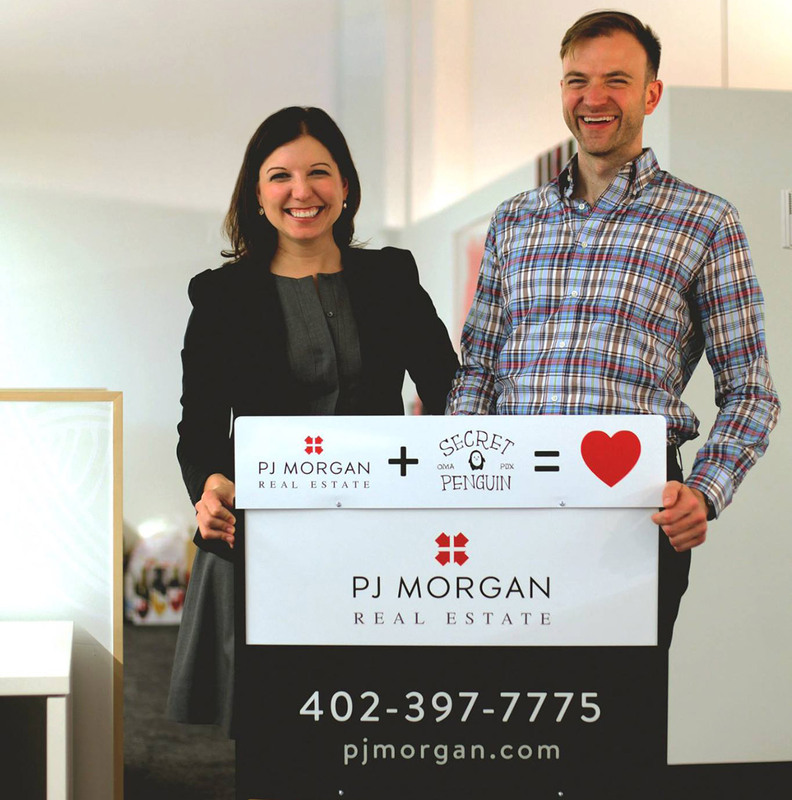 However, PJ Morgan Real Estate has such a memorable and respected name plus a recognizable logo in the community, we came to the conclusion to keep the name and refine the logo, while maintaining the integrity of the original. 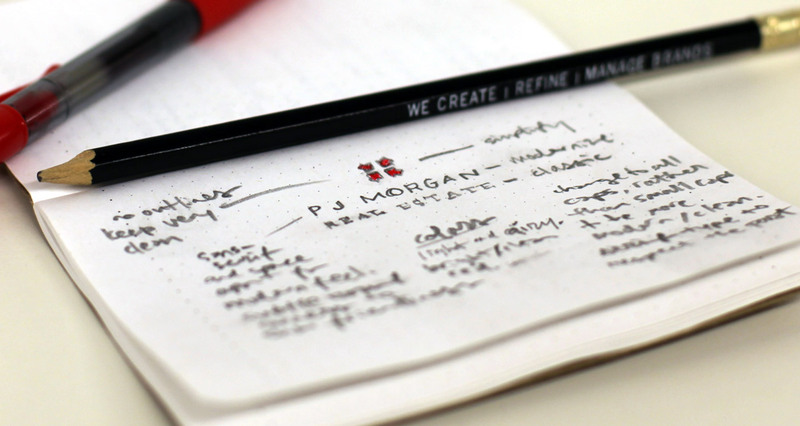 Out of the Employee Workshop and Leadership Meetings, we narrowed it down to 3 Brand Attributes which helped shape the strategy for the branding. Focusing on the attribute, Professional, we made the website and all supporting marketing materials incredibly clear and user-friendly. This is based on the notion that any professional can clearly present and explain complex topics so simply, that anyone could understand. 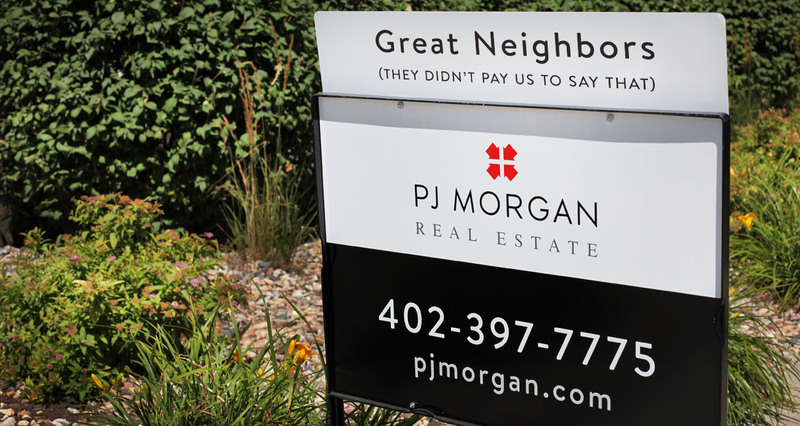 And, our friends at PJ Morgan Real Estate are nothing short of professional. There’s a bad stereotype of real estate agents… they are sales robots and not humans. 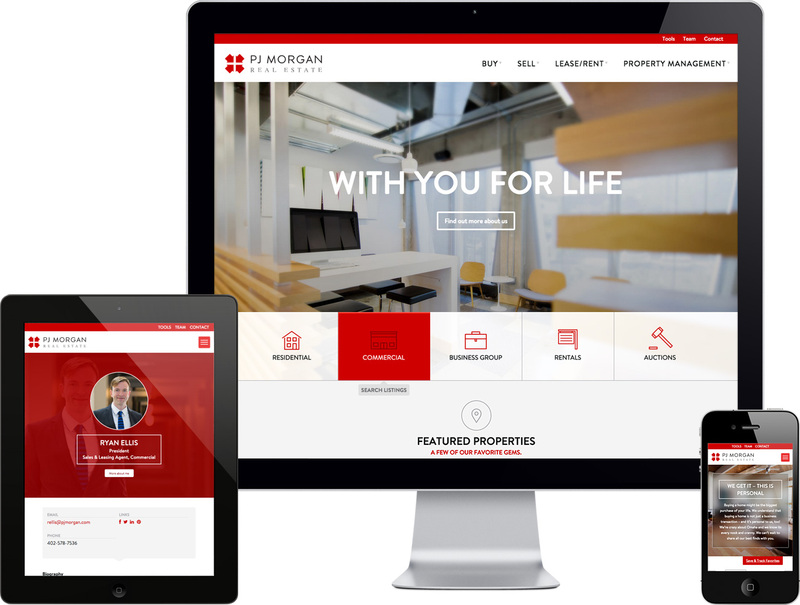 The team at PJ Morgan are not just human, they’re fun, friendly and passionate humans – which make them very relatable. We created customizable sign riders to showcase their personalities. • Ready those brownies, neighbors! You know what’s unique in real estate? Well-designed signs! This goes beyond personal tastes… many of the signs from other companies just weren’t functional. We found most to be confusing with 4 phone numbers, or so cramped with information that it was hard to read from the streets. 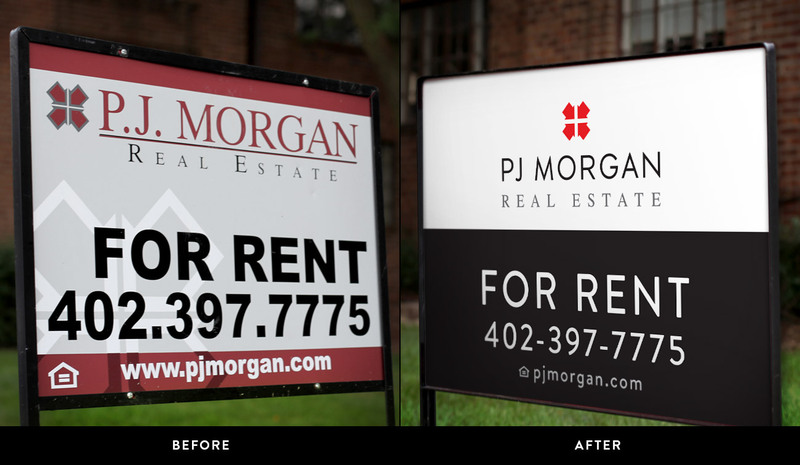 So, we started down the path of trying to create a visually appealing and functional real estate sign. Something seemingly so simple was one of the hardest things we’ve ever done. • And, we need easy to follow guidelines because agents have free reign to put what they want on a sign. A sold house is a reason to celebrate; for the seller, the buyer, the agent and the neighborhood. During the Employee Workshop, a person in the Residential Division made a comment that really stuck with us… They love seeing the excitement of people moving into homes. So, on the SOLD signs, we celebrate the sale, but also that very personal celebration of having a house become a home. 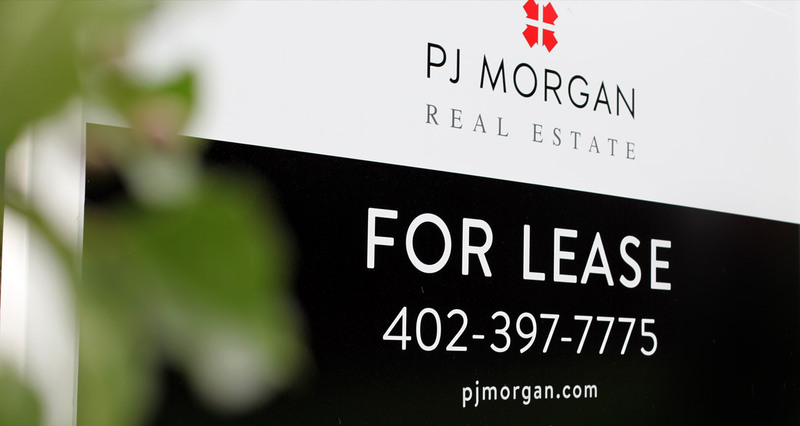 One challenge we needed to address was that PJ Morgan Real Estate was mainly known for their commercial real estate. However, they handle all facets of real estate: Residential, Commercial, Business Group, Rentals and Auctions. 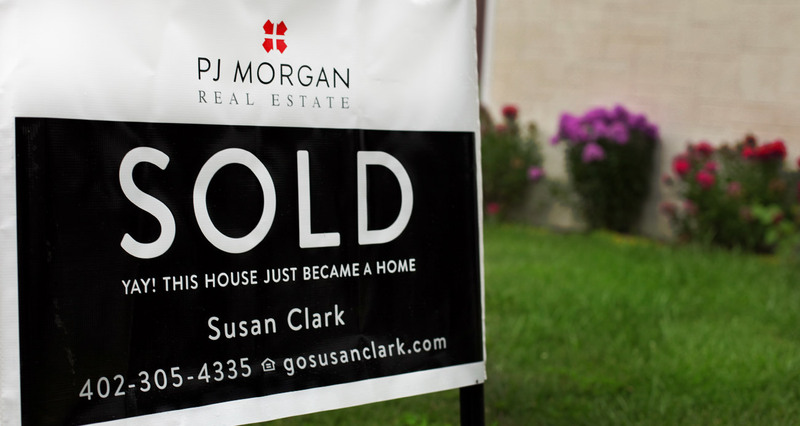 And better yet, they have experts within each category, so you can literally use PJ Morgan Real Estate throughout your whole life. We crafted a tagline that clearly communicates that. At the end of the project, our friends at PJ Morgan Real Estate stopped by with the new signs and put a custom rider on the top just for us! SecretPenguin blew us away when they provided us an identity that represented where we’ve been, where we are now and where we’re excited to head in the future. We couldn’t have anticipated the amazing response we’ve received from our employees, clients and the community. Thank you, Dave and team, for keeping us at the top of our game!